Damien Rochford was born in Manchester in 1960. He studied Art and Illustration at Bolton College of Art and Design. This was followed by further Post Graduate study in Illustration and Printmaking at the Art College in Bower Ashton. Damien Rochford worked for many years as a successful commercial artist and illustrator. He worked in publishing, advertising, editorial and animation, and also the computer software and games sector before taking up sculpting in 2007. Talking about his sculptures Damien says:"I use a variety of materials when sculpting. These include clays, polymer clay, plaster and waxes. Each material has it's own tactile and working characteristics influencing how each of my pieces develops. 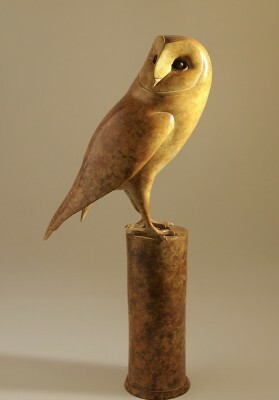 In addition to the human form and portraiture I also love animals and birds as subjects for my sculptures. Their beauty of form, movement, strength and spirit are a great inspiration for my sculptures." 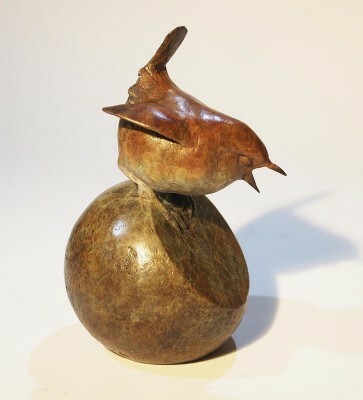 By striving for a keen sense of balance, harmony of composition, pose, movement and form Damien aims to produce sculpture that offers more than just a representation of a chosen subject. Damien is mainly self-taught as a sculptor. Many great sculptors have served as inspiration for Rochford's sculptures particularly Henry Moore, August Rodin and Gian Lorenzo Bernini. 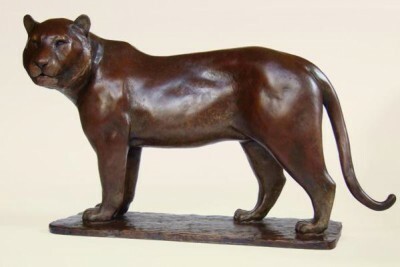 Damien's sculptures are cast in 'foundry' bronze using the lost wax process. They are then hand finished and patinated, making each piece a unique work of art. 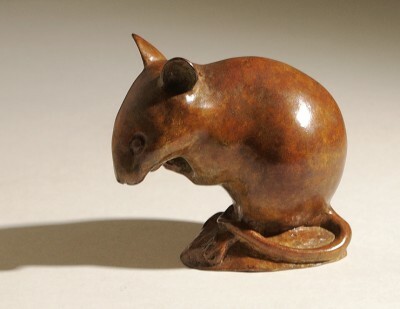 In addition to Red Rag art gallery Damien Rochford sculpture has been exhibited at other British Art Galleries. 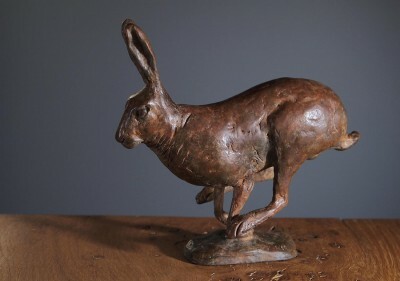 Each sculpture at Red Rag is sourced from the Damien Rochford sculptor studio and like all Red Rag British art and Contemporary art it can be shipped worldwide.